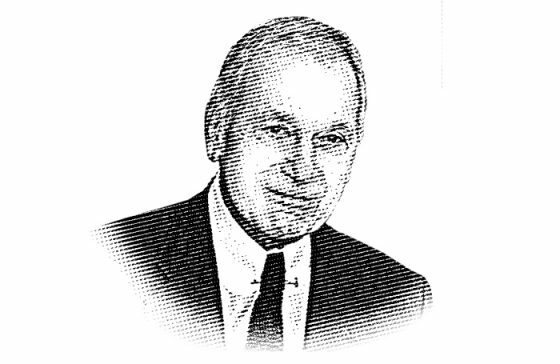 Jerold Panas was professionally involved in fundraising and financial resource development for over forty years. He was idea-rich and high energy. Jerold Panas was Founding Partner of Jerold Panas, Linzy & Partners—one of the nation’s most highly regarded firms in the field of campaign services and financial resource development. The firm has served over 3900 client-institutions since its founding in 1968. The roster of institutions include a wide variety of clients in the arts and cultural field, educational institutions, hospitals and medical centers, churches and faith-based institutions, community and social service organizations. In addition to its national recognition, the firm has provided campaign services for the University of Oxford (UK), Forman Christian College (Pakistan), the American Hospital in Paris, France; the American College of Greece in Athens; Nuestros Pequenos Hermanos in Cuernavaca, Mexico— the largest orphanage in the world; the American British Hospital in Mexico City; and over a hundred organizations in Canada, Australia, and New Zealand. Jerold Panas had been professionally involved in fundraising and financial resource development for over forty years. He was idea-rich and high energy. He had been related directly, in a planning or supervisory capacity, to most of the major programs of the firm. His books are considered the most significant in the field. ASKING is the largest selling in the history of fundraising, and three are considered classics. Because of the prominence of the firm and the impact of his writing, there are few who have had a greater influence in the history of the profession. The 30,000-member AFP presented him with the Chairman’s Award at its 2014 International Conference: “For your extraordinary contribution to the nonprofit sector. Our profession would look very different without your involvement . . . you have influenced philanthropy in a way no other fundraiser has.” The award has been given only 16 times since 1986. When the Business of Giving magazine listed the top twenty-five fundraisers in the country, Jerry led the list. #1!